If there’s this little trust in government, why do young people always seem to want more of it? Why do young people believe everything government tells them if they have this little trust in it? I mean, the big thing that young people believe the government on is things like climate change. 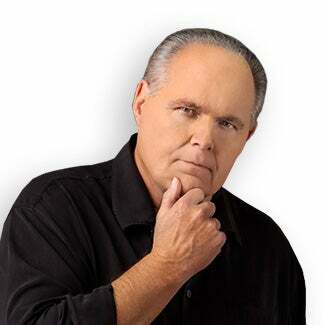 RUSH: But back to the polls. I sidetracked myself there. If we have so little trust in government by young people, then why do they almost always seem to want more of it, and why do they always seem to never doubt it? See, this poll the kind of confuses me. Eighty percent of young people said it was more likely the media would sometimes or never do the right thing. Well, why does it seem everywhere I read where young people are involved, they soak up whatever the media is saying is and they believe it? If it’s in the New York Times, it’s gospel. If it’s in the Washington Post, it’s gospel. If it’s on CNN it’s gospel. And yet nobody’s watching CNN. I think there is so much disinformation in the news. I think the news is actually a massive psychological effort to dispirit, depress a majority of America. I think that is the ultimate impact. It’s always negative. It’s always apocalyptic. It’s always pessimistic. Go to the Drudge Report. Take this little challenge. I told Snerdley to do this today. Go to the Drudge Report today and just start looking at the headlines, just look at the links, don’t click on any of them, just look at them and just keep looking at ’em. I guarantee you if you do this you’re going to think that 95% of what you believe in is losing or has already lost or doesn’t have a chance or is being swamped or what have you. Be it culture, be it news, be it political, be it sociological, you’re gonna think everything you believe in is under assault and doesn’t have a chance. And I’m not saying this is done on — it’s not Drudge. Drudge wants clicks, he’s finding news that’s interesting to people, he’s an aggregator, he’s puts it up there. If you look at the stuff, because what Drudge is is simply a reflection of what is in mainstream media and other very popular blogs, outliers and so forth. But the general tenor and tone each and every day is not just bad news, not just depressing news. It also seems to carry with it a depressing psychological component as well. And I think this is part of the design. I think journalism is taught to be practiced this way. But I also think journalism has become activism, and that happened a long time ago. And so each individual newspaper, website, and then each individual reporter all working under those premises, by the time you aggregate all of the work on a daily basis and you represent it with headlines on Drudge, you could look at it and you could say, “There’s no point in fighting. We don’t have a chance. This is over!” But that’s all wrong. It isn’t over. The people in charge of the media are just able to make it look that way far more often than not. So if you feed that bit of information to this whole universe of the Harvard Institute poll, 16% of young people said they trusted the media to do the right thing, 22% said the same thing about Trump. So Trump has more trust than the media, but Trump at the high point is 22%, that’s still 78% that don’t trust anybody. Twenty-one percent said the same about the federal government. And I wonder if, you know, like 80% of young people said it was more likely the media would sometimes or never do the right thing. I wonder how much of this — that means there’s cynicism everywhere, cynicism about Trump, cynicism about government — not enough, as far as I’m concerned — cynicism about the media. And how much of it is well earned and how much of it is due to the revelations that Facebook helped Russia and Trump steal the election? I mean, Zuckerberg admits yesterday that he’s working with the Mueller investigation — to do what? To prove that Trump colluded! Zuckerberg (imitating Zuckerberg), “Yeah, we’re working with them on this,” and then he realized we better shut this down. “I can’t say anything more about this,” of course. “We must keep this on the down low. But, yes, we’re helping.” Helping them do what? Why is Facebook helping the Mueller investigation? Why aren’t they helping Trump? Facebook was always trying to help Obama. But then there’s this. The same poll. A new survey of voters 18 to 29 from Harvard’s Institute of Politics released yesterday says there is an historic youth wave coming in 2018 with Democrats outnumbering Republicans two to one. So we’re being led to believe that young people 18 to 29 for the first time in a long time are eager to vote, they can’t wait. Except we’re told this every damn election, aren’t we? Every damn election we’re told the youth vote is lining up, two to one Democrat, man, oh, man, they can’t wait to vote, they’re so fired up. And then when the election comes, they don’t show up. But they’re telling us this is different. These Millennials are fired up. They can’t wait. And of those saying they’re likely to vote, there’s a two to one advantage for the Democrats. So this would be another example where you show up and read the news every day, you’re gonna conclude Republicans just don’t have a prayer. The Democrats have already won the House. That’s part of a news media narrative now. The Democrats have won the House in the midterms, just waiting for the calendar to get here. After they do that, they’re gonna impeach Trump. It’s over. And now to add an exclamation point to it, the youth vote is gonna be one of the reasons ’cause two to one are lined up for the Democrats, they hate Trump, even though he’s more respected than the media in the same poll and more respected than government in the same poll. So what I think we have here is yet another attempt to motivate young people. I think we have another example here of a poll being used to shape opinion, not report it. 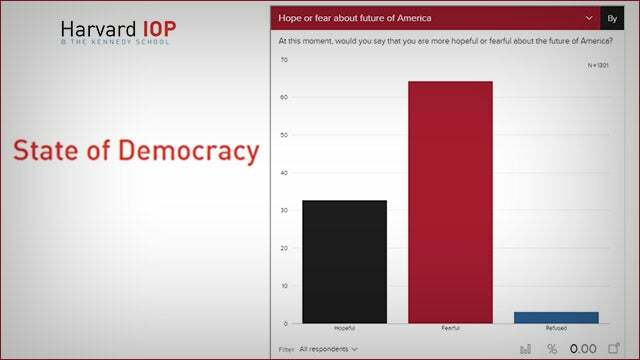 I think a poll is being used to motivate people, to influence people into action by way of voting. The age-group we’re talking about here, 18 to 29, peer pressure counts for a lot. So if you get up and you turn on your device and you go to Yahoo News or wherever it is that you find this, you’re gonna find out that over half of your friends, half the people your age are gonna vote Democrat. You can’t wait. That must be the hip thing to do, then. So all kinds of psychological tricks, psychological ops are already being implemented in the Drive-By Media. And then there is this from The Politico. “MSNBC’s Surging Ratings Fuel Democrat Optimism.” Okay. Fine. But then why is the same thing not happening to CNN? CNN is every bit anti-Trump as MSNBC is. CNN is every bit as hysterically anti-Trump and anti-conservative as MSNBC is. But it says here that Democrat strategists are seeing a new reason for optimism about the midterms. I thought you already were optimistic? I thought the midterms were effectively over, Democrats and media? I thought it’s just a matter of time. Now, what they don’t tell you is that 30% of practically nothing is not a big number. So, yeah, MSNBC gains 30%, but 30% from what? Now, I’m not gonna deny — MSNBC’s audience is growing in the prime time. But if it means this bodes well for Democrat votes, then why isn’t CNN’s audience growing? And why isn’t the New York Times and the Washington Post, why aren’t those print operations rolling in money? If Democrat Party electoral prospects are defined by media audience, then why isn’t all of the left-wing media exploding? Why is it only MSNBC?